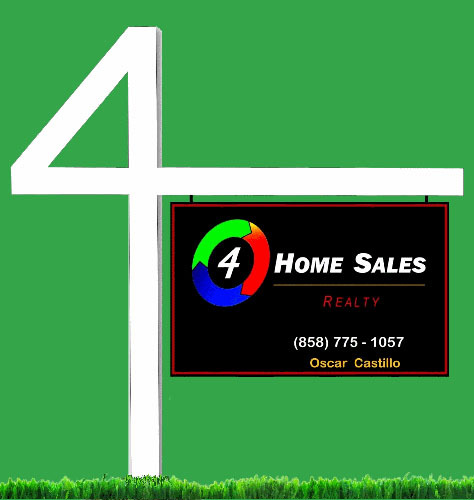 Make it a point to contact Oscar Castillo (Broker of record) so that he may consult you and guide you through the Selling of your home or the home Buying process. 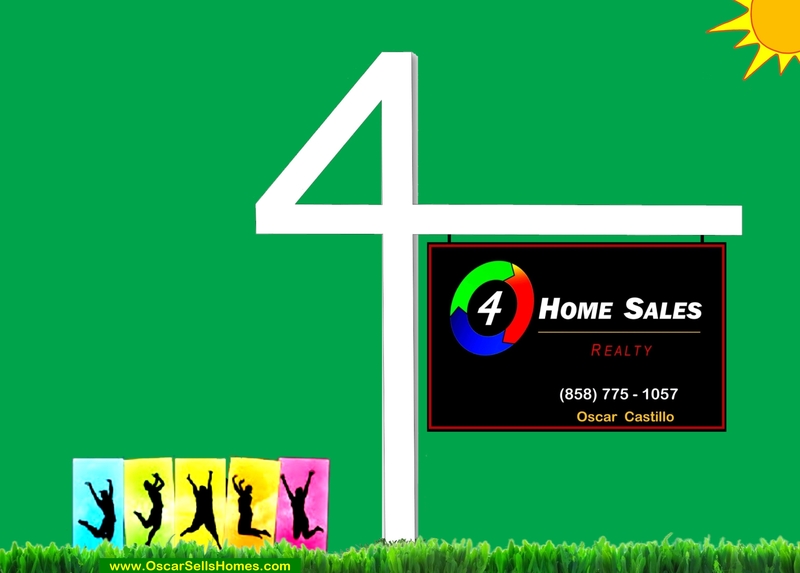 4 HOME SALES Realty is a relatively new brokerage that can in fact save every home seller a sizable and "real" amount of money in regards to the SALE of your home. Although it is located in Escondido, that does not mean that we are limited to serving only the Escondido area (ie: North Inland). Should I buy a house with a swimming pool? A very important thing you might want to ask yourself is “am I going to use the pool frequently?” … please don’t get me wrong here because it is not that I do not want you to buy a house with a pool, I just want to give you an idea of the maintenance, time involved and some other costs associated with pool ownership - such as additional home insurance. I get asked this question a lot lately. My answer is: Of course lower mortgage rates will "bring-out" buyers, more-so than keeping interest rates stagnant or bumping them up a tad bit, only to bring them down a tad bit. With slow homes sales here in San Diego, it almost seems like buyers are saying... "throw me a bone" so that I can reciprocate and apply more effort in my search and home buying process. 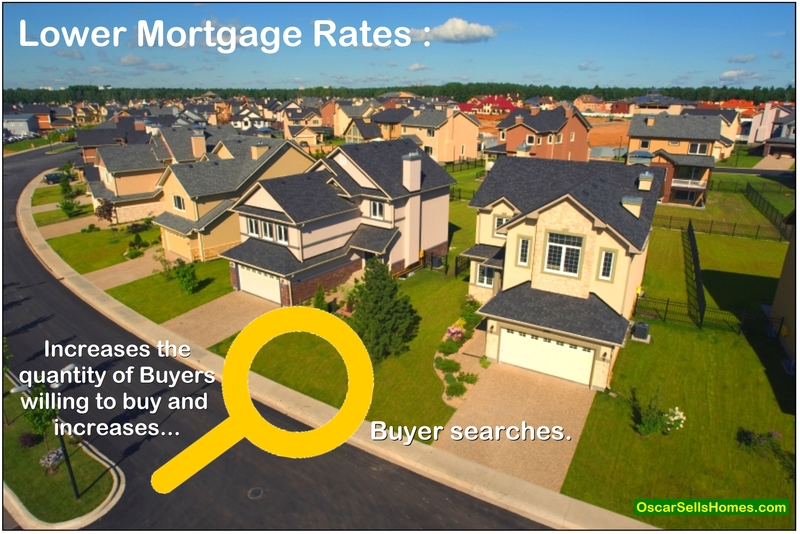 And of course we know that the "bone" here is lower interest rates which also means smaller mortgage payments. Upon selling my home, do I owe any Capital Gains Tax? You may be in a situation where you may owe none at all…this because (1) if there is a loss on the sale, then there is no Capital Gains that are applicable. Also know that “losses” are not deductible relative to the sale of your home. 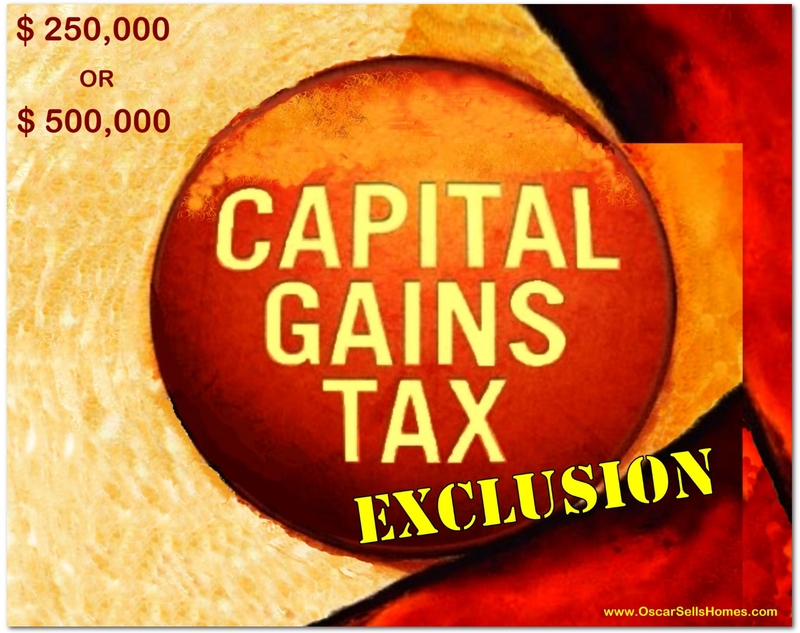 On the other hand (2) if there is a profit on the sale, then you may be subject to owing a Capital Gains tax. So before you panic, you the home seller needs to understand the rule in regards to a potential Exclusion of Capital Gains Taxes. 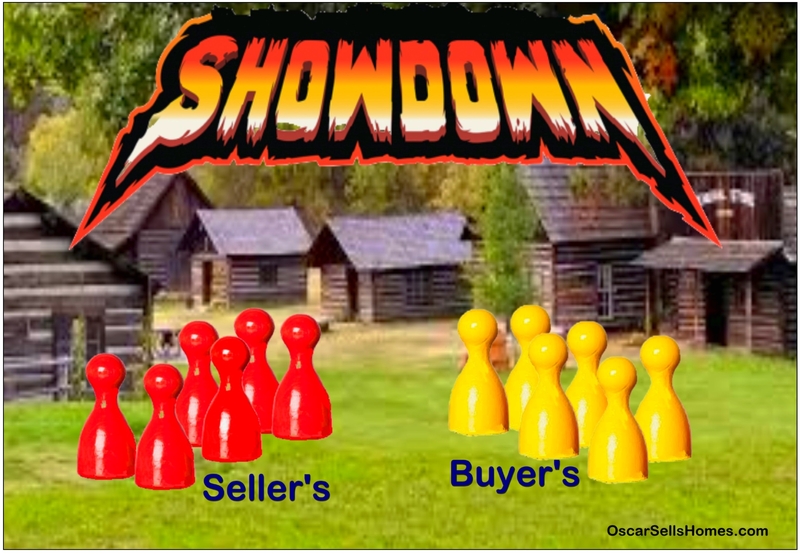 There is some “details” the home seller needs to know and I will explain them as we-continue-on with this article OK? When I say "know the temperature of your home", what I mean is that in Real Estate your home is either cold, warm or hot - this in regards to a quick or slow dragging of the time it takes to get a purchase offer once your home is on the market. Once a homeowner decides to sell, then of course you want to get a "quick and fair" offer rather than waiting, waiting and waiting sometimes to a point where the homeowner starts to wonder if their home will sell "at all". 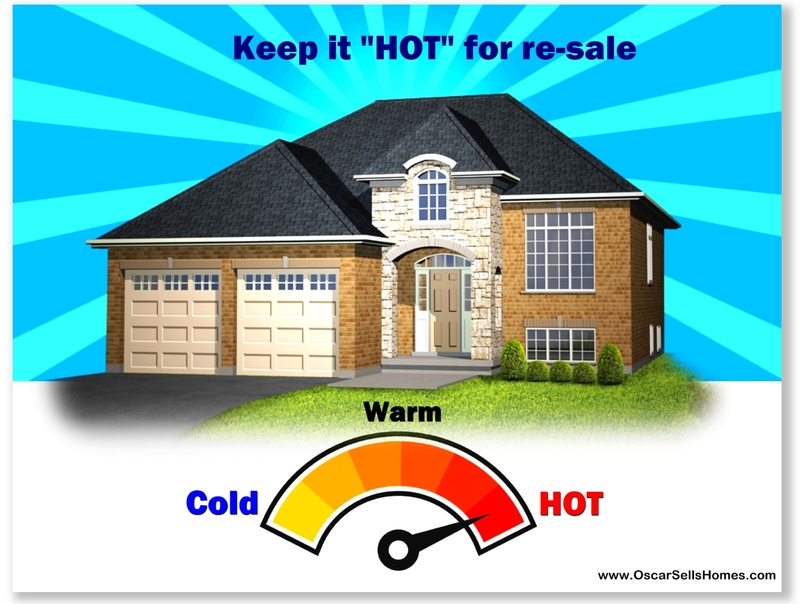 In the eyes of a buyer, your home needs and/or should to be in the "hot" mode. What is meant by a "hot" mode? 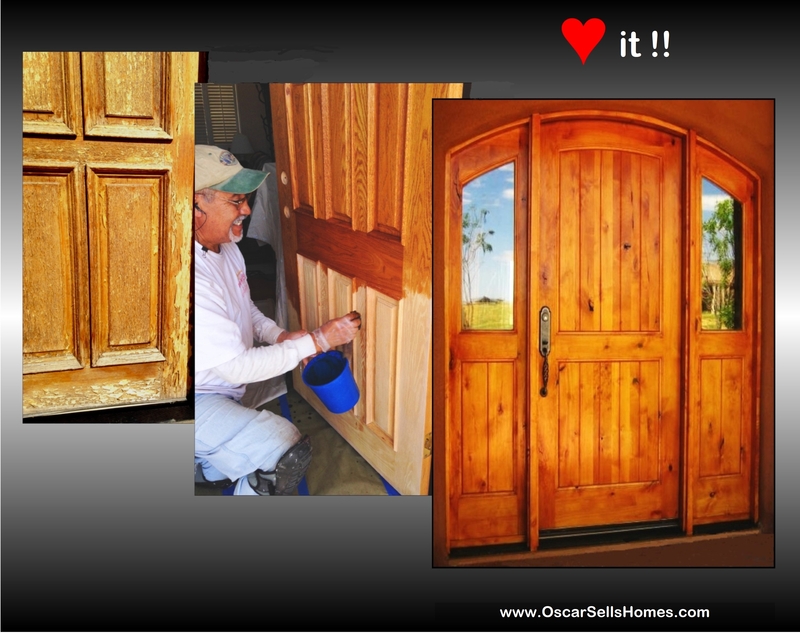 Wood Front Doors need your "Love" also ! Are your front doors and/or door showing drastic signs of being highly weathered and the topcoat/finish is cracking, peeling or has completely deteriorated? If your answer is YES - then it is best to "refinish" the wood sooner rather than later. Do this before any further damage is done by the exterior elements such as the sun, rain and humidity. Great ground cover on slopes on your property are dual purposed. One is the beauty of the plants and the other purpose is that it helps in the prevention of any dirt and water run-off. 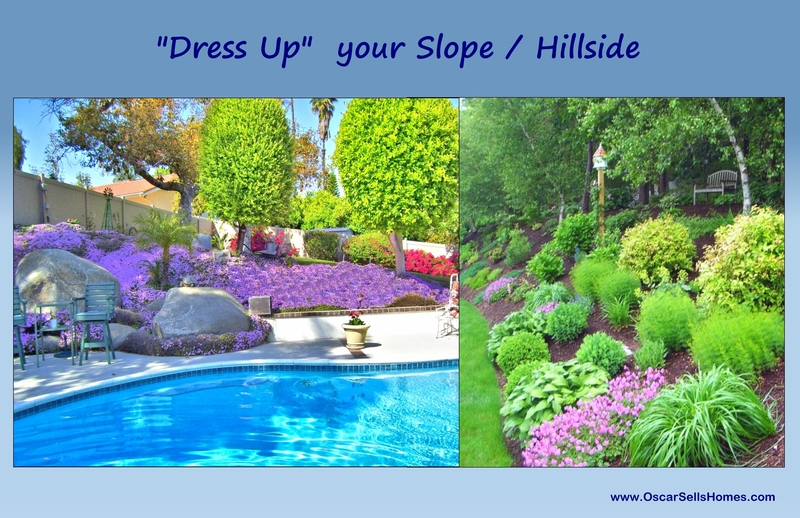 We all know that slopes/hillsides on most properties are usually larger areas than what is depicted in the above pictures used for this article. The pictures are meant to give you an idea of what can be done to beautify the hillside while at the same time you are taking preemptive action in regards to avoiding any potential water run-off and soil erosion due to heavy rains. 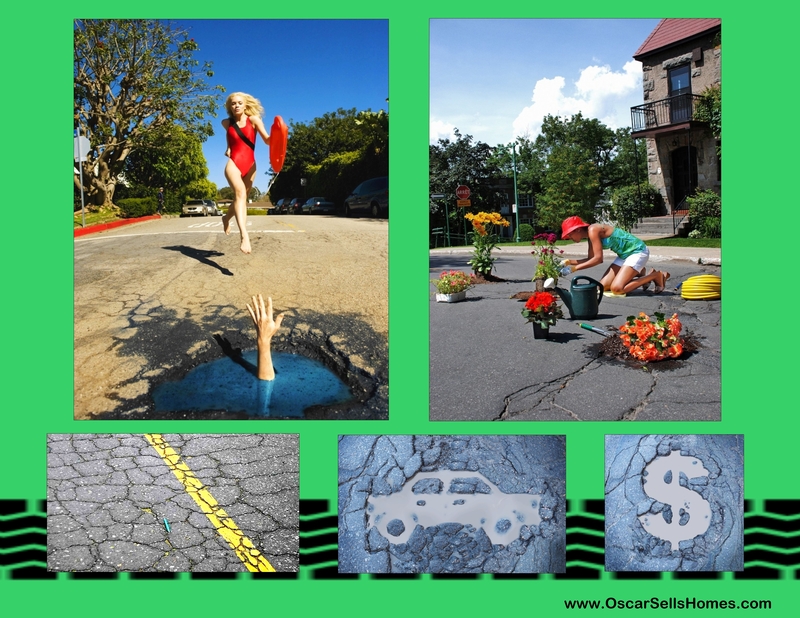 If you live in a neighborhood where asphalt street maintenance appears to not be a priority of your City Street Department, this could be costly to you as a homeowner because continual unsightly potholes and dry cracked asphalt are attributable to driving the value of your home "downward" and/or at the minimum they hinder the increase of value in comparison to similar homes at nearby neighborhoods that have better maintained streets. Have some baking soda around your home? 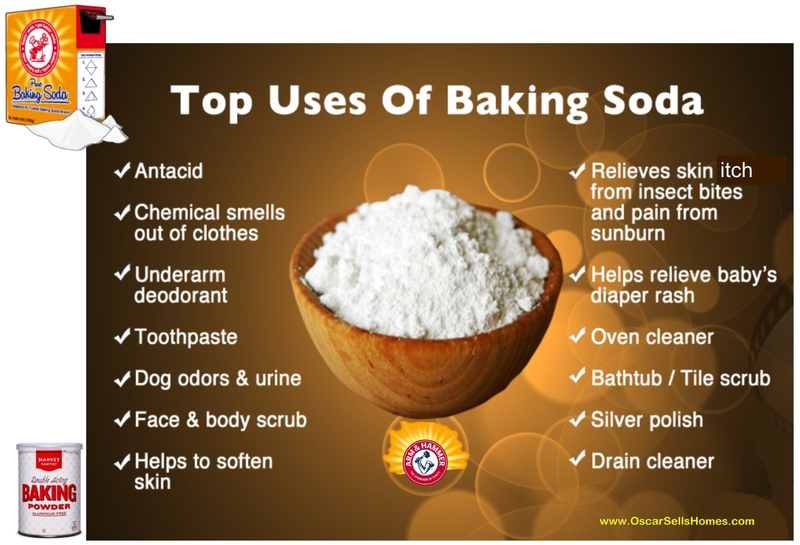 Many household surveys state that baking soda is a great product to have at home because it can be utilized for many household purposes. Some uses are listed in the picture above but below I have also included more uses for what I personally call a "magical and brilliantly created product". 1) Make Toothpaste - a paste can be made with baking soda or sprinkle some over your tooth paste and brush thus giving you an extra boost to cleansing. 2) Freshen Your Mouth - Put one teaspoon in half a glass of water, swish, spit and rinse. Odors get neutralized, not just covered up. 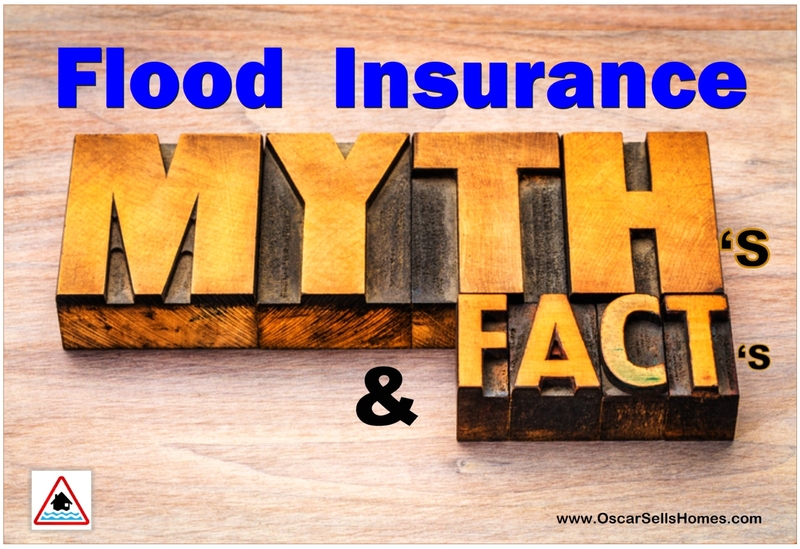 It is easy to say “I do not need flood insurance” because my house is not in a flood zone or that you have been told that I (homeowner) cannot get flood insurance because of the location of my home. These statements validate what many homeowner’s think in regards to flood insurance coverage on their homes/property. Initially, flood insurance may not be on every property owner’s mind, but the reality is that it is more important to have coverage than most homeowners think. Many homeowners do not think that flooding will have any affect to their property – until it’s too late. 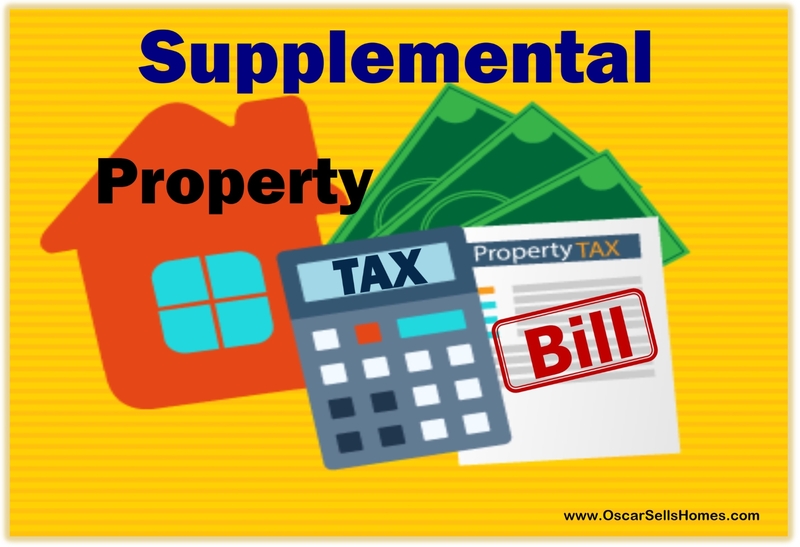 OK so you bought a house, you are all settled-in and then a couple of weeks later you receive in the mail a “Supplemental Property Tax Bill”. Your first words that come out probably will be… What the heck is this? Then you start thinking that you were told that all your property taxes are to be paid via your escrow impound account – mortgage holder/Lender (also known as an escrow account)…. and you also specifically remember being consulted that in addition to your monthly mortgage payment, one-twelfth of your annual property taxes is to be included in that monthly payment. Keep that thought as we continue along on this page OK ? 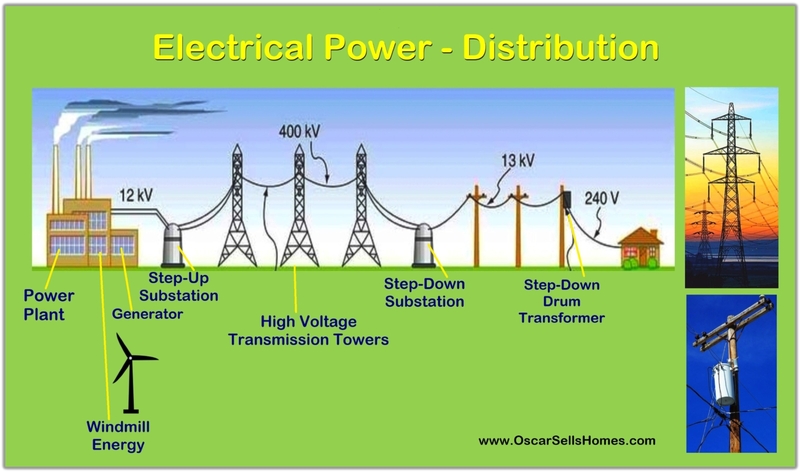 The following is a condensed version of how electricity is generated and how electricity travels through the various stages of the power-distribution-grid. Ultimately the electricity is safely transmitted to our homes, place of work and/or business. How do we generate electricity ? Electricity is produced at Thermal Power Plants. All aspects of producing and the distribution of electricity are important but the first step is to produce heat. The production of heat can come from various fuel sources… such as coal, oil, natural gas, or nuclear energy. Coal, oil and natural gas fuel sources are fed into a combustion chamber. Ever see one of the above pictured beauties alongside a road or on the side of a home? They come in various sizes depending on the amount of water flow that they are meant to handle. 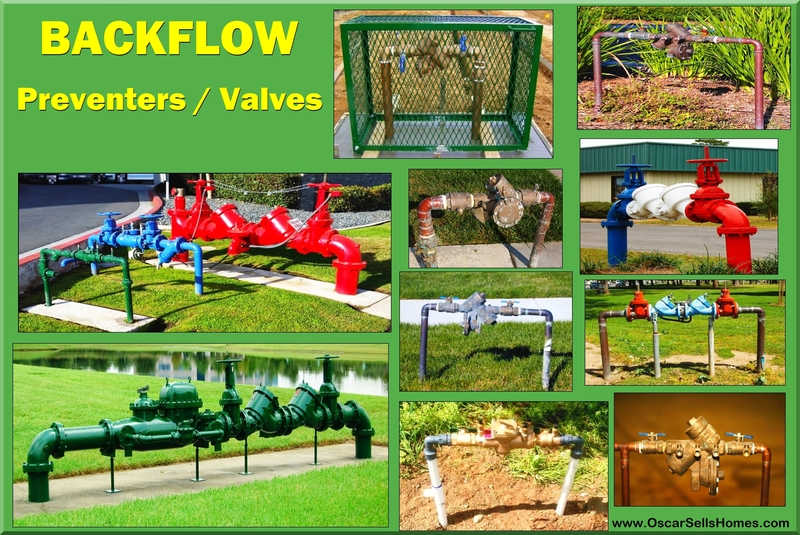 They are called “Backflow Preventers” (aka: Backflow Prevention Assemblies). What type of water flows through them - drinkable or irrigational ? A “Homestead” simply means a person's primary residence which encompasses the house, the land, and any outbuildings (ie: sheds, a barn, workshop and/or a detached garage) that are on that property. The wording “Homestead Exemption” is socially well known, but far too often is not fully understood. 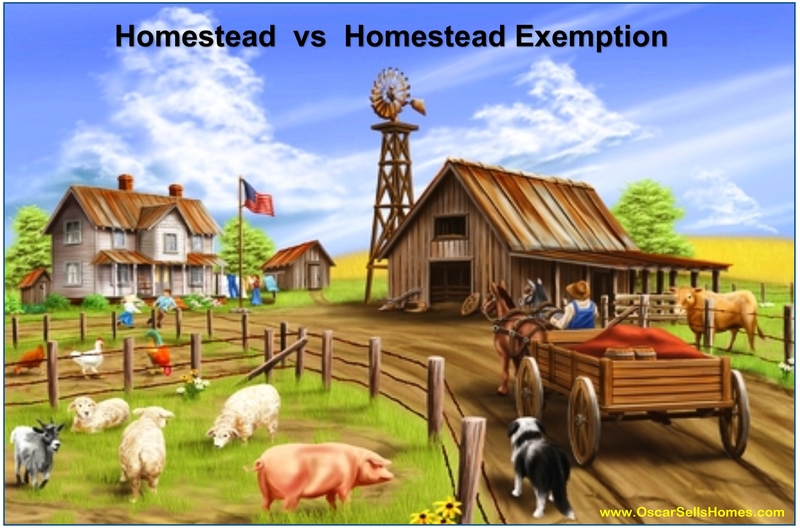 (A) The term “Homestead Exemption” does refer to various exemptions from property taxes that homeowners can claim. If you plan on applying for a mortgage, you should be on the lookout for “junk fees”. 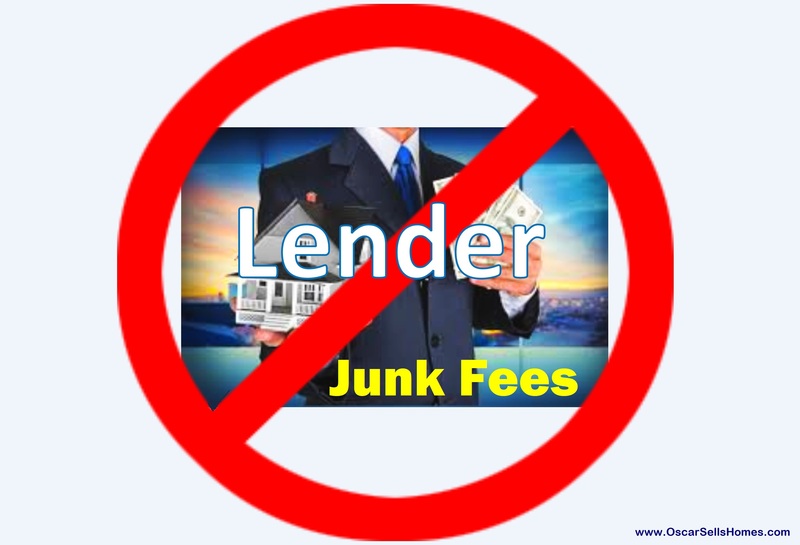 Your lender’s junk fees may leave you paying much more than necessary at closing. When you apply for a mortgage loan, your lender will give you a Good Faith Estimate (GFE). The GFE provides you with an itemized list of the fees your lender intends to charge to process your loan and close the deal. Each fee should be clearly listed on your GFE. Closely scrutinizing the charges listed on the GFE is the key to catching junk fees early in order to challenge and negotiate them. I find that a lot of Senior homeowners who are thinking of selling their home and buying another do know a little about or at least have heard of the California voter passed Propositions 60 (in 1986) and 90 (in 1988). 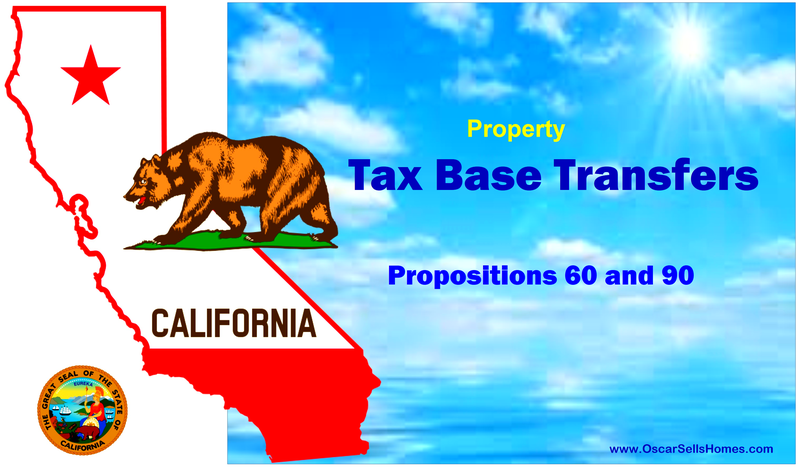 These 2-propositions 60/90 are in regards to “property tax base transfers”. But in most all cases, these particular senior homeowners are not informed enough and are missing the “rest of the picture”. Yes, what these homeowners are wanting is for their current property tax base to transfer to the house they want to buy and/or have bought already. But there is some misunderstanding as to how this transfer can be accomplished. Prudent Buyers who have their budget, their eyes and heart set on older homes are consulted to indeed do their due diligence and observe the condition-and-age of the major kitchen appliances, the water heater, the air conditioning (compressor) and the furnace. 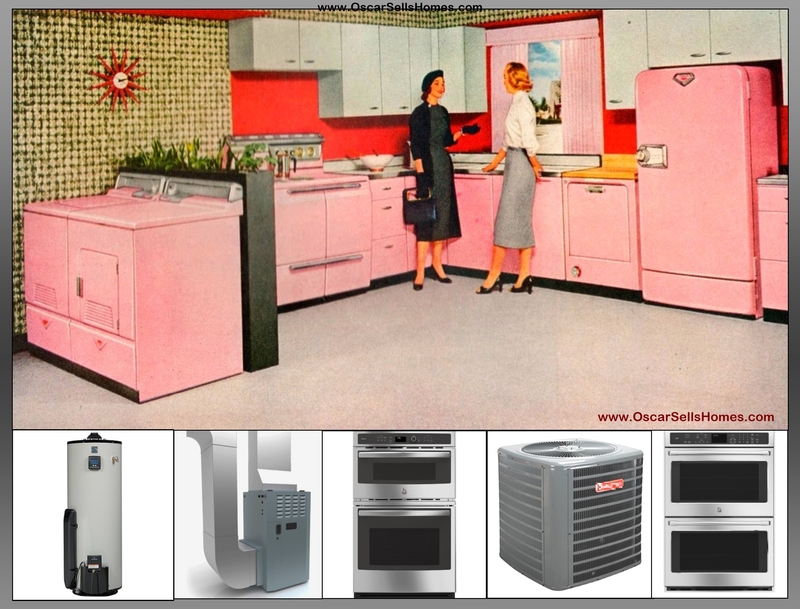 After observations, I get what follows is an important and a much anticipated question… How long will the current major appliances as well as the Heating and Air Conditioning system last from this date forward? 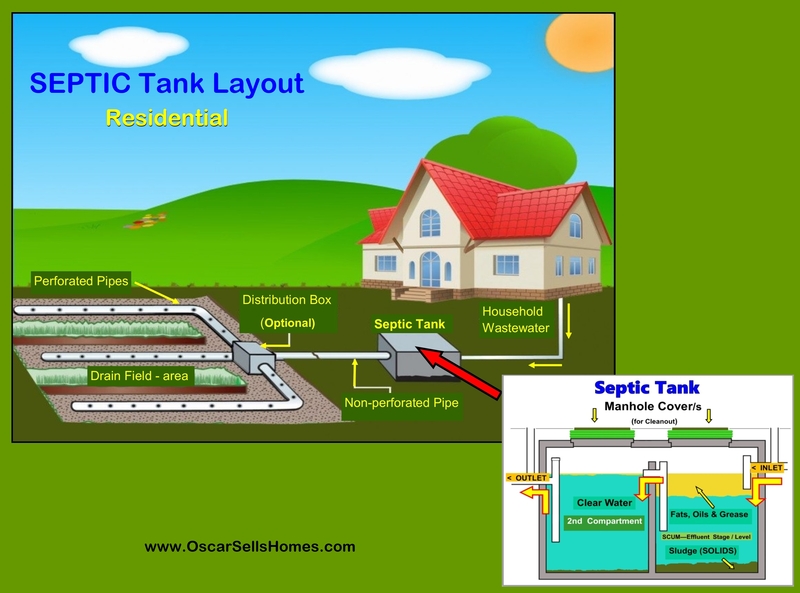 As-you-know, the homeowner/s are responsible for maintaining their septic tank system. Consistent care and attention of your system are essential to preventing a septic system failure. What is an Automatic Seismic Gas Shut-off Valve? 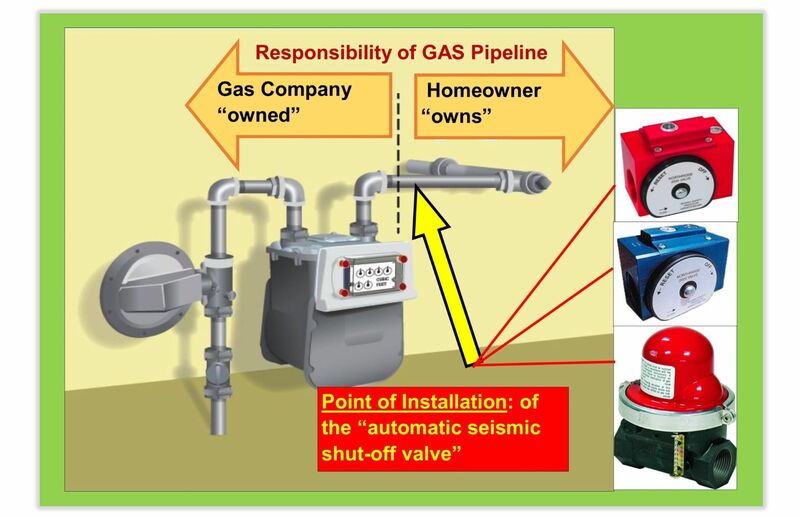 The functionality of a Seismic/Earthquake shut-off valve will automatically shut off the flow of natural gas to your property when an earthquake with a magnitude of 5.1 or greater occurs at or near the location of your home.